Making good on one of my goals for the year, to take my oldest niece, G, to New York City. B and I have been wanting to take a long weekend to either New York or Las Vegas, and since she’s just graduating high school and not college, I think we should stay with tamer New York! We booked our flights and hotel last night. 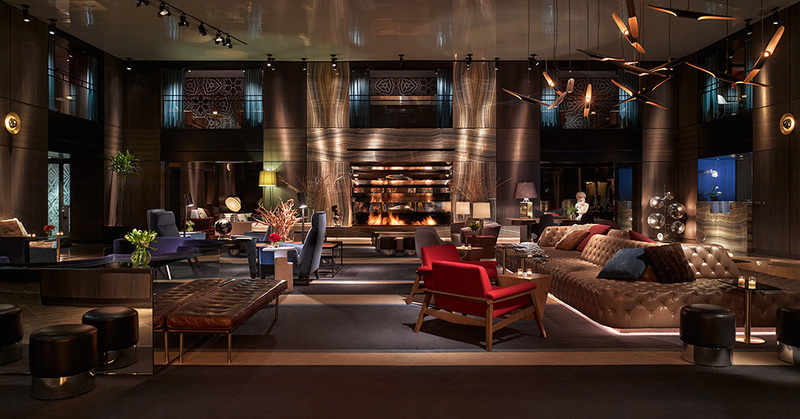 We will be staying near Times Square at this swanky place, The Paramount Hotel. We got a sweet price through Travelzoo (one of my favorite steal sites), even though B and I get points through IHG or Marriott, this was a better deal, and much higher on the hip scale of a teenager. Doesn’t that just ooze, sleek and cool?!? Are we going to be the best Aunt and Uncle ever? We try, we try. She’s such a special young lady. I know we need to cherish the times she still wants to spend with us, because pretty soon she’ll be in college, spreading her wings and becoming more independent. This is one of the reasons I am so happy we are frugal in our everyday life. We have the available savings that we can treat ourselves and G to a fun and memorable weekend. Now we are setting a precedent, so our younger niece D is planning on having her graduation trip to California. She’s a sparkly girl, I’m thinking Hollywood and LA are calling her name. Even though B and I have been to NYC before, this will be G’s first time. We want to hit the highlights and make it a memorable time for her. Any ideas for visiting NYC with a teenager?